Bolivia has it all: colonial cities, Amazonian plains, snow Andean mountains, pre-Columbian ruins, white salt flats deserts, colourful lagoons and National Parks. Prepare yourself for an unforgettable journey through this fascinating and diverse country and read more about the things you can do in Bolivia. Bolivia is the fifth largest country in South America and is located in the heart of South America. It has borders with Peru, Brazil, Paraguay, Chile and Argentina. Its biggest treasure is its vibrant diversity in culture which has survived until now, with 32 different ethnic group’s compromise more than half of the population. This legacy allows visitors to explore indigenous traditions throughout the year, from the mystical and spiritual Andes until the cheerful and exotic in the eastern part of Santa Cruz. Bolivia has a great variety in climates which is mostly because of the differences in altitudes in different places. This leads to beautiful and different sceneries of the cold Highlands, mild valles and tropical Amazon leaves that leaves something to discover for everyone. Read more about our favourite places in this beautiful country. Bolivia boasts a rich rain forest region. 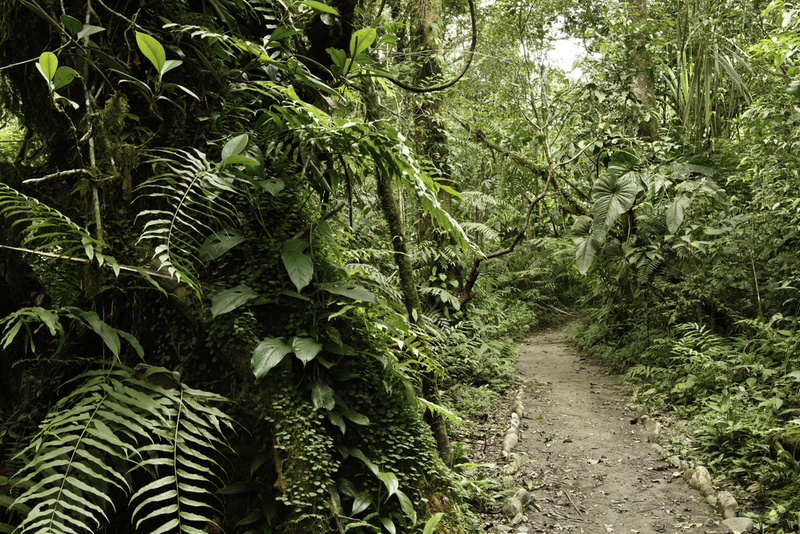 Much of it is relatively unexplored, tranquil, and full of virgin forests. Many travellers choose to visit the Bolivian Amazon as opposed to Brazil or Peru, partly due to it being more economical. On the border of Bolivia and Peru sits the world’s highest navigable lake, Lake Titicaca, at an altitude of 3,800 metres. 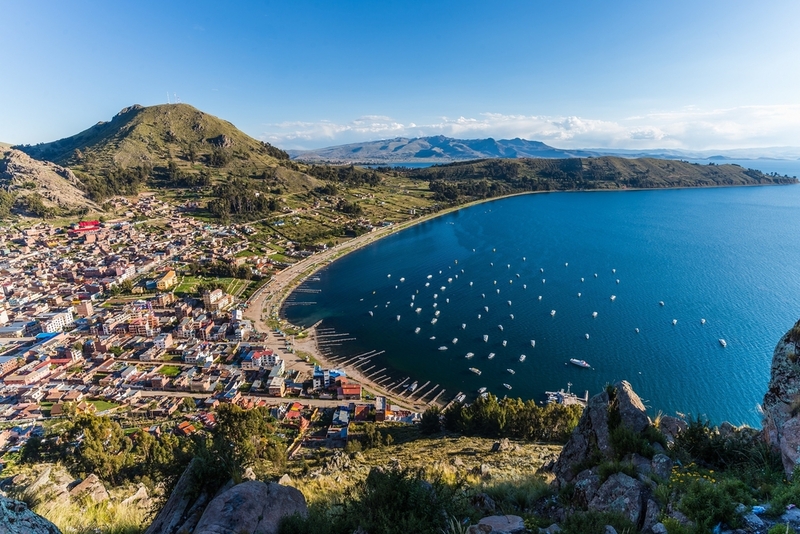 Copacabana, a town located on the shores of Lake Titicaca, is likely to be the first port of call for those tourists travelling to Bolivia from Peru. This tiny town is a favourite destination for both tourists and Bolivians to stay a few days. The beach is rocky and the lake-water cold, but the crystal clear waters surrounded by white capped mountains provide an extraordinary setting. Copacabana, the city next to Lake Titicaca. Photo credit: Shutterstock. La Paz is also known as the city of contrasts, due to its unique geographic position surrounded by hills. The city of La Paz invites you to discover the local people and customs in one of the many museums and churches. The nightlife as well as one of the many restaurants serving local as well as international food are definitely worth a visit. Don’t forget to visit one of the viewpoints to overlook the city. Furthermore, it has the longest cable car system in the world, not only to carry passengers but to enjoy splendid views of this wonder city. 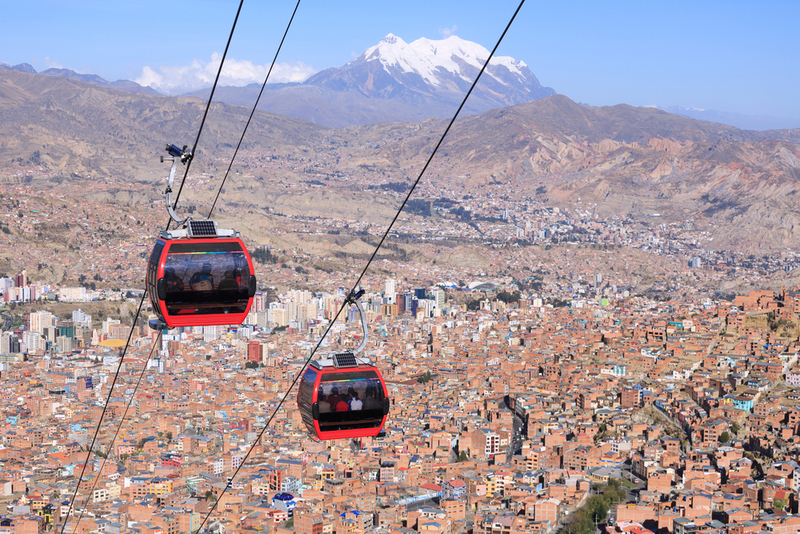 The cable car in La Paz. Photo credit: Shutter stock. 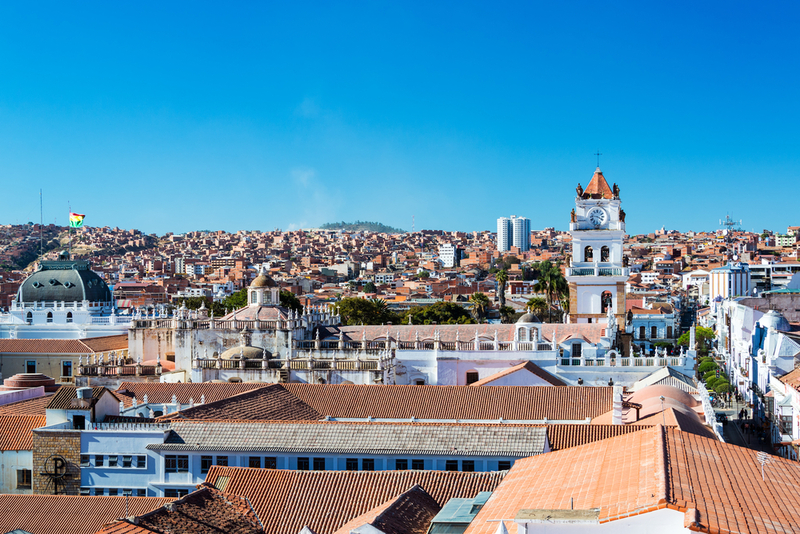 With exponential growth in recent years, Santa Cruz city became the main business centre in Bolivia. This is a beautiful and warm city located in the middle of the Bolivian tropics. The inhabitants are well-known for their joyfulness and entrepreneurship at work. This city offers interesting alternatives for recreation and a varied nightlife to enjoy. Cathedral in Santa Cruz. Photo credit: Shutter stock. Sucre, also known as Chuquisaca, is the place where have started of the first libertarian revolution. 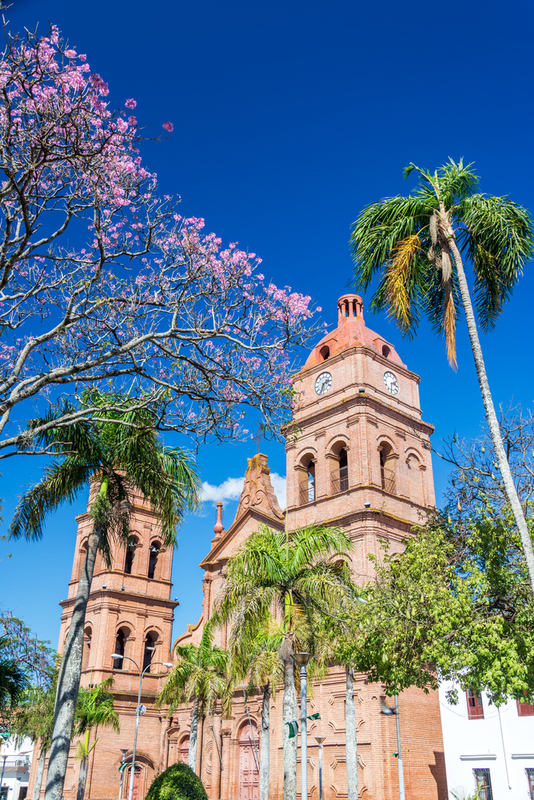 Here you can visit beautiful churches and wander charming colonial streets. Not far away from the city, visitors can see dinosaur footprints dating from 68 million years ago. Sucre is declared World Heritage city by UNESCO because of it’s the colonial style, with white houses, red roofs and plenty of churches and nice museums. Potosi is the world’s highest city with an altitude of 4090 meters. The city is UNESCO declared World Heritage due to its architecture and colonial charm. 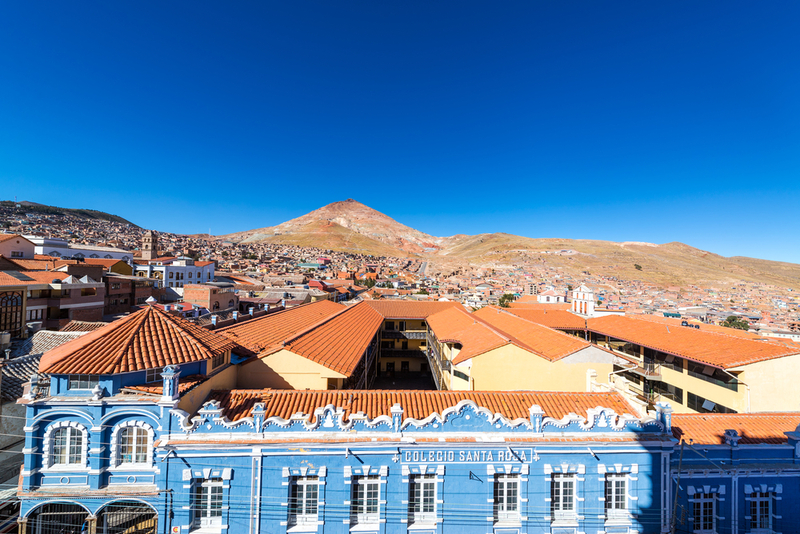 Potosi is the ideal travel destination for those who are interested in learning about the effect that colonization had upon the indigenous people of Bolivia. The town of Potosi. Photo credit: Shutterstock. 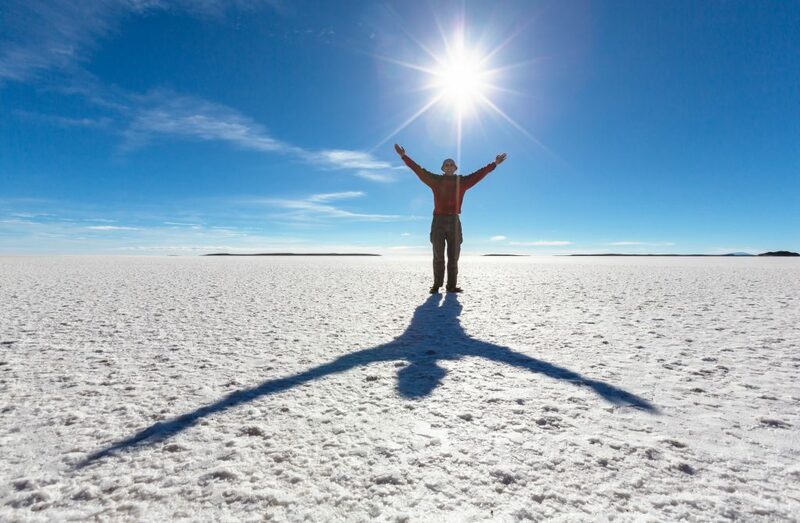 Definitely one of the highlights of Bolivia is the Uyuni Salt flats, the beauty of this vast salt deserts is one of the most awe-inspiring spectacles of South America. 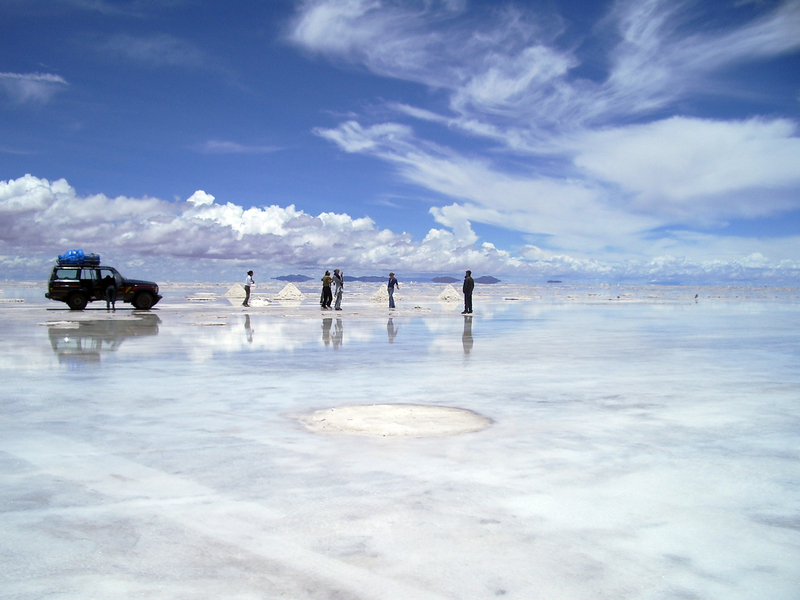 To experience the Salt flats with clear blue skies, travel between May and November. In the rainy season (from January to March) the Uyuni salt flats get flooded and turn in a natural mirror. Are you inspired? 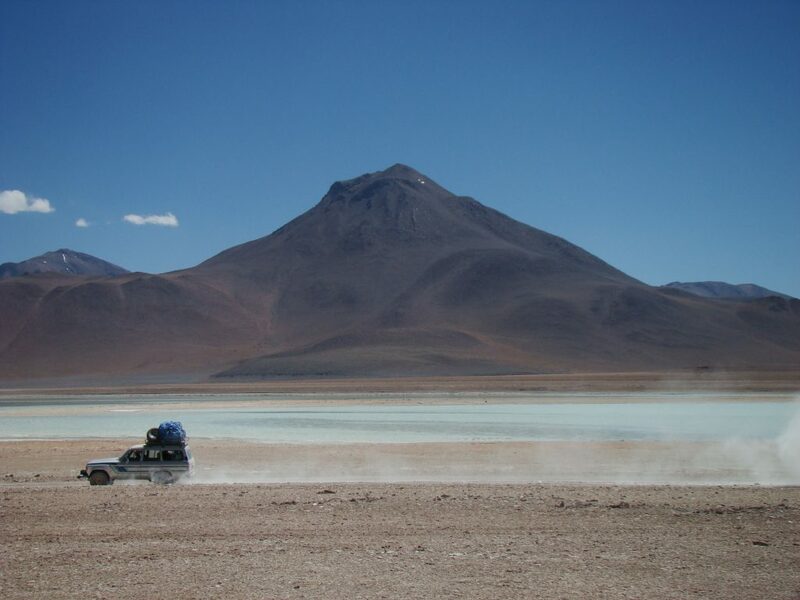 Learn more about the possibilities for your perfect trip to Bolivia here and experience it all yourself!